Lehmann Maupin congratulates Lee Bul on receiving the 2019 Ho-Am Prize for the arts. The annual award is given “to people of Korean heritage who have contributed to the enrichment of culture and arts for humankind.” Gallery artist Do Ho Suh also received the award in 2017. 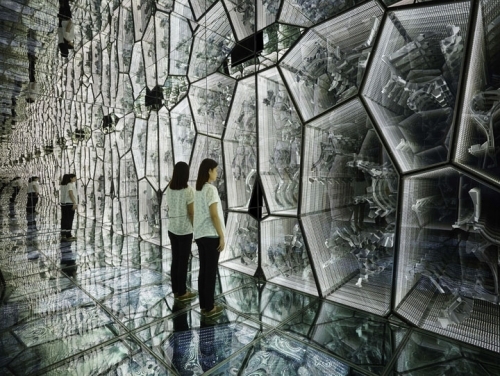 Lee Bul will be included in the 58th Venice Biennale (May 11 – November 24), as will fellow Lehmann Maupin artist Liu Wei. The artist’s solo exhibition City of the Sun is on view at the SCAD Museum of Art in Savannah, GA through July 28. 이불은 제 58회 베니스 비엔날레(5월 11일 - 11월 24일)에 리만머핀의 소속작가인 리우 웨이(Liu Wei)와 함께 본전시 참여 작가로 선정되었으며, 현재 조지아주 사바나의 SCAD미술관에서 개인전 <태양의 도시 City of the Sun>가 7월 28일까지 진행된다.